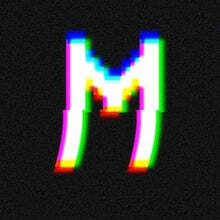 Marin Media Lab | New media, contemporary performance and film. Ishmael Houston-Jones and Miguel Gutierrez sit down with Marin Sander Holzman to discuss “Variations…”, The AIDS crisis in NYC, Interdisciplinary work and more at AMERICAN REALNESS 2018. Marissa Perel sits down with Marin Sander Holzman at AMERICAN REALNESS 2018 to discuss their work (do not) despair solo. Jumatatu M. Poe and Jermone “Donte” Beacham sit down with Marin Sander Holzman to discuss J-Sette Performance and more at AMERICAN REALNESS 2018. Jen Rosenblit discusses her work Clap Hands at AMERICAN REALNESS 2017. Dana Michel discusses her work Mercurial George at AMERICAN REALNESS 2017. Erin Markey discusses her work A Ride on the Irish Cream at the 2016 AMERICAN REALNESS festival. c at the Centre national de la danse in Pantin France as part of AMERICAN REALNESS for Dance 2016. Sara Shelton Mann and composer Norman Rutherford discuss their 30 year artistic relationship and composing misc for live performance at AMERICAN REALNESS 2016.
keyon gaskin discusses his work its not a thing at the 2016 AMERICAN REALNESS festival. Jaamil Olawale Kosoko discusses his work #negrophobia at the 2016 AMERICAN REALNESS festival. Heather Kravas discusses her work dead, disappears at the 2016 AMERICAN REALNESS festival. M. Lamar discusses his work DESTRUCTION at the 2016 AMERICAN REALNESS festival. Marin Sander Holzman sits down with Dave Malloy to discuss Ghost Quartet at Mount Tremper Arts. A preview of what to expect from Lab/Shul for High Holidays 2014! Cynthia Hopkins discusses her latest work A Living Documentary, making a living in the performing arts and the nature of sustainability in the contemporary performance field at the Mount Tremper Summer Arts Festival in the Catskills mountains of New York. In this preview Marissa Perel discusses her upcoming work More Than Just A Piece Of Sky premiering at the Chocolate Factory in New York City. Eleanor Bauer discusses her latest work Midday and Eternity (the time piece), the social agreements that form in the process of making work and the nature of practice at AMERICAN REALNESS 2014. Chris Peck (composer) discusses the musical score for Midday and Eternity (the time piece) at AMERICAN REALNESS 2014. Ishmael Houston-Jones and Emily Wexler discuss their show 13 Loves Songs: dot dot dot at the 2014 AMERICAN REALNESS festival. Eleanor Bauer discusses her show Bauer Hour at AMERICAN REALNESS 2014. In this extended interview Miguel Gutierrez discusses remounting his 2006 work myendlesslove, the nature of queer longing and separation and why returning to this work feels important. These are stills from the Marin Media Lab performance installation at Aunts Chain Curation in summer 2013 at Arts@Renaissance. Liliana Dirks-Goodman and Laurie Berg, interviewed by Marin Sander-Holzman, discuss the chain curation series this summer at Arts @ Renaissance, collaborations with other presenting organizations and the unique opportunity that Aunts provides performing artists. Michelle Boulé interviewed by Marin Sander-Holzman at the 2013 Mount Tremper Summer Arts Festival. Michelle discusses making a new work with Lindsay Clark, revising a duet with Okkyung Lee and making work in the natural beauty of Mount Tremper Arts. Neal Medlyn interviewed by Marin Sander-Holzman at AMERICAN REALNESS 2013. Neal discusses Wicked Clown Love and the use of pop music in his work. Jaime Fennelly aka Mind Over Mirrors and Miguel Gutierrez discuss Storing the Winter and their return to collaboration. Interviewed by Marin Sander-Holzman at AMERICAN REALNESS 2013. Moriah Evans and Evelyn Donnelly for The Bureau for the Future of Choreography interviewed by Marin Sander-Holzman at AMERICAN REALNESS 2013. Olive Bieringa and Otto Ramstad, co-directors of the BodyCartography Project, interviewed by Marin Sander-Holzman at AMERICAN REALNESS 2013. Olive and Otto discuss their work Super Nature and collaborating with musician Zeena Parkins. Jeanine Durning interviewed by Marin Sander-Holzman at AMERICAN REALNESS 2013. Jeanine discusses inging and giving language the present moment in her work. Trailer for 2013 AMERICAN REALNESS festival in New York City. Trailer for 2012 AMERICAN REALNESS festival in New York City. Keith Hennessy discusses Almost at American Realness 2012. Interviewed by Marin Sander-Holzman. Trailer Edited by Marin Sander-Holzman Directed by Andre Robert Lee I DID NOT edit the feature length documentary. Trailer Edited by Marin Sander-Holzman I also edited the full documentary short version. Trailer by Marin Media Lab in collaboration with Miguel Gutierrez. Video documentation by Character Generators.